OffGridBox (Village Shop) provides affordable clean water and renewable energy for rural communities in the developing world. It is a financially sustainable and environmentally friendly model enabling communities to benefit and transition to solar in an affordable way. Each Box, through micro-payments, provides 400 families with lighting and phone charging within their homes and purified drinking water--all for only $0.18 (less than half of what they currently spend on polluting sources). Additional add ons include: clean cooking technologies and refrigeration for perishable goods. 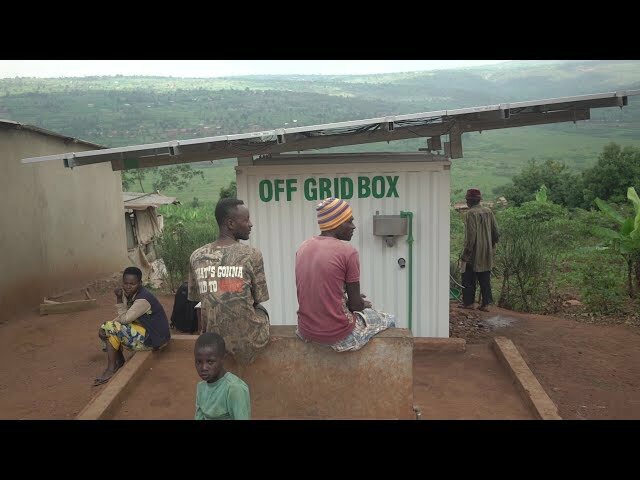 Already, seven Boxes with this model were deployed in rural Rwanda proving feasibility, but 1000 Boxes would only fill 20% of the total off-grid energy need of Rwanda (with 1 billion people in need globally). Through local implementing partners (such as our partner in Rwanda, a local engineering firm), we teach the business model and maintenance procedures to generate revenue, not only to cover salaries and maintenance costs, but also to deploy additional boxes--leading to exponential growth. With this innovative technology and pay-as-you-go business model, we see a truly sustainable path to enable communities to harness and transition to renewable electricity sources in an affordable way.